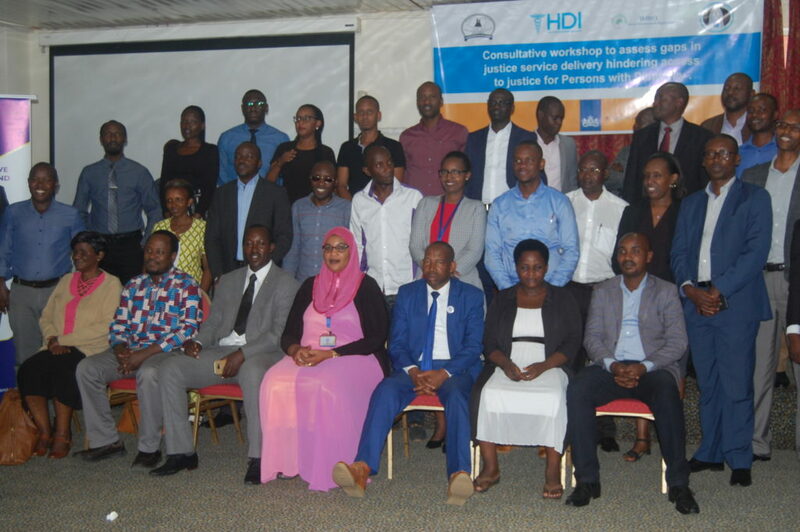 The Great Lakes Initiative for Human Rights and Development (GLIHD) in partnership with Rwanda NGOs Forum with other partners have urged Rwanda’s Justice sector to review the disability law that is currently not fostering rights to justice of persons with disabilities. 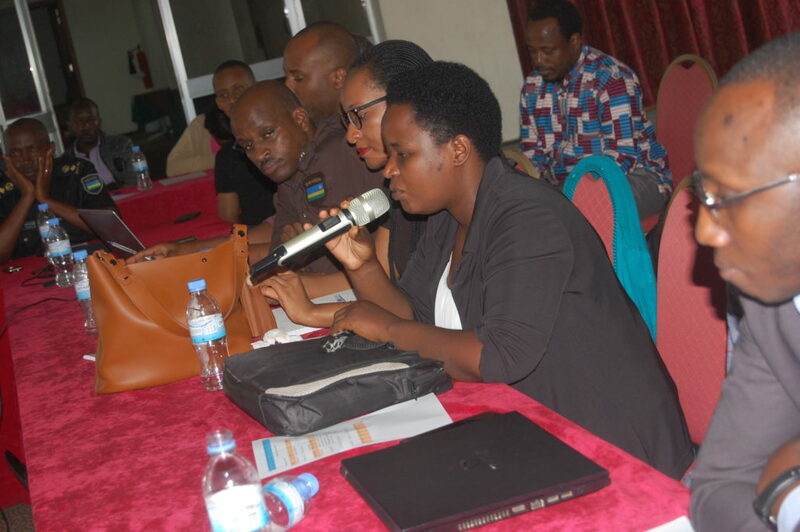 The call was made on April 9, 2019 in Kigali during a Consultative workshop to assess gaps in justice service delivery hindering access to justice for persons with disabilities (PWDs) where the council for persons with disabilities exposed major hindrances in this regard. 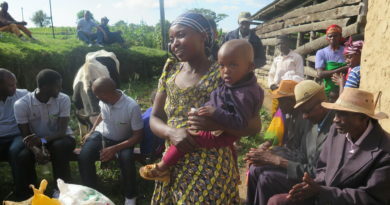 The observations follow the UN Conventions on Rights of persons with disabilities established from the 2008 international conference in which Rwanda participated. Vestine Husna Umulisa, Deputy Executive Director of Great Lakes Initiative for Human Rights and Development (GLIHD) said that the meeting aims at reflecting on some issues especially laws that are not in place to cater for persons with disabilities by focusing on their rights in regard with the laws. 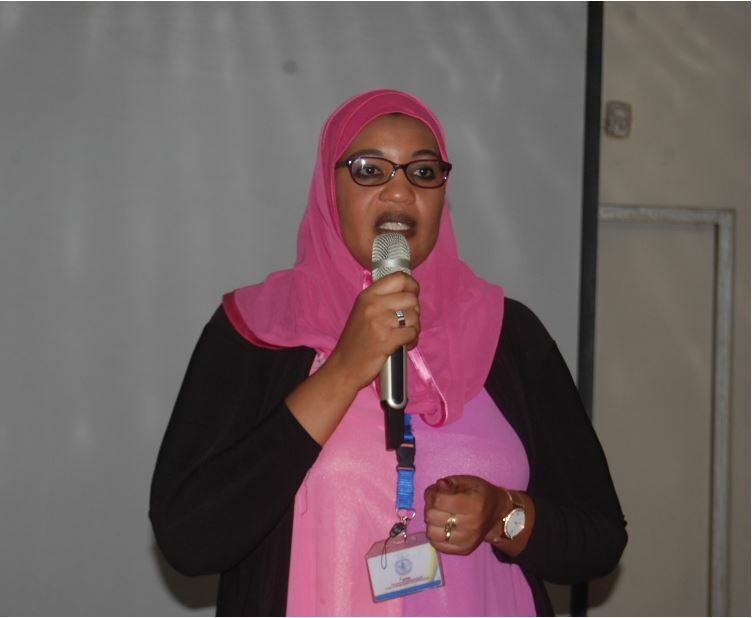 Vestine Husna Umulisa, Deputy Executive Director of Great Lakes Initiative for Human Rights and Development (GLIHD) speaking to the participants to the workshop. “A lot have been done like buildings renovations but in laws nothing is being improved. We are here to see what can be done to improve on this so that PWDs get full rights as they were given rights in public transport where these persons were catered for,” Umulisa observed. 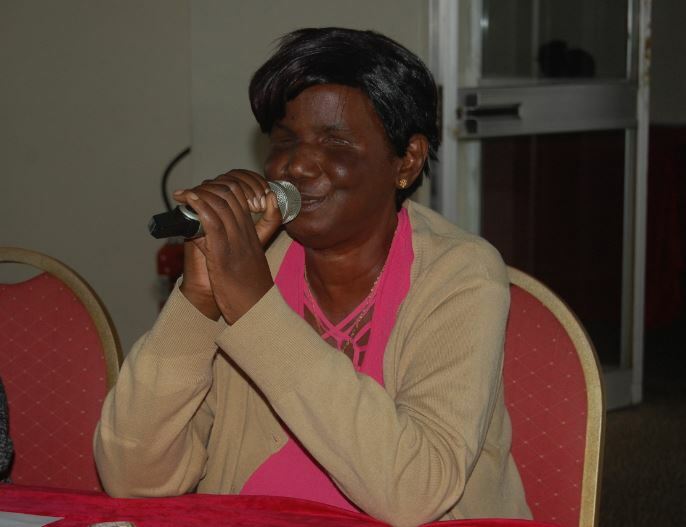 “There are many issues in justice sector that are not considered, judges were not trained on how to help persons with deaf-blind disabilities, also in case they experience violence, they are not given effective services,” she said. She said that they are makingng this advocacy to engage government and development partners while the private sector will be involved in implementing the policy after the official review. 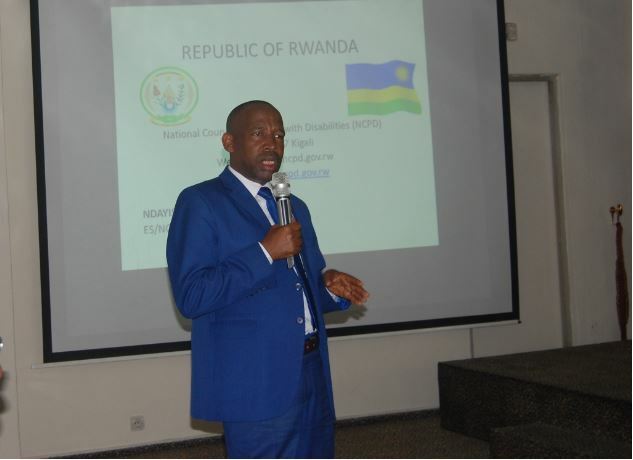 GLIHD’s role is to help PWDs to have access to justice as Rwanda was given recommendations based on access to justice, we will train and talk with judges as well as giving them regal aid to seek solutions for this problem. Emmanuel Ndayisaba, Executive Secretary of the National Council for persons with Disabilities (NCPD) presented many of the challenges that still hinder accessibility of PWDs to justice sector, noting that many people in the country lack knowledge on how to help these persons. Emmanuel Ndayisaba, Executive Secretary of the National Council for persons with Disabilities (NCPD) presenting the major challenges hindering PWDs to access to justice services. 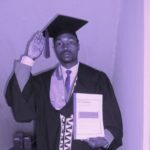 “In fact, it is not that people deny to help persons with disabilities, instead they do not have knowledge in this regard,” Ndayisaba said. He said that communication is a challenging issue to access justice services for persons with disabilities especially for those who have deaf-blindness when they appear in front of courts. “We have many cases of people who get imprisoned after giving their testimonies,” he said. 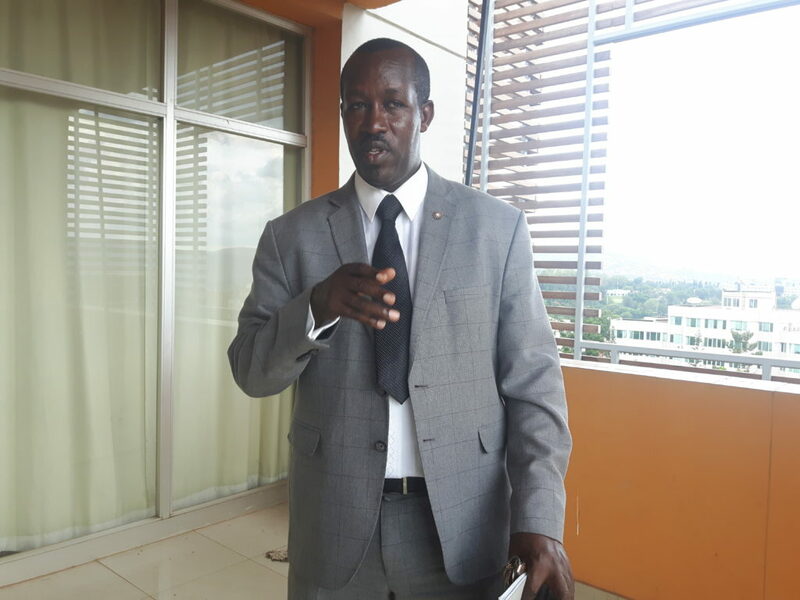 “In Musanze, a person with blind disability became a victim of theft as the real culprit shift the crime onto this person because he cannot see,” he revealed. One way to solve the problem, he said, was that they called a sign language interpreter..
Ndayisaba (Right) taking the participants through various challenges of Persons with disabilities when it comes to justice sector services. He talked about other challenges relating Gender based violence (GBV), lack of sign language knowledge where a person with deafblind disability fails to access justice services because sign language is not considered in court procedures. Another issues is the accessibility of palaces/ premises of justice sector that are not adjusted for PWDs. 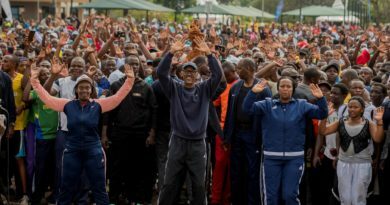 The same challenge is also available at Police headquarters and prisons. Inaccessibility of judgements for persons with visual impairments is also among the hindrances presented by NCPD, plus delays in getting medical expertise for suspected and detained persons with mental disabilities. 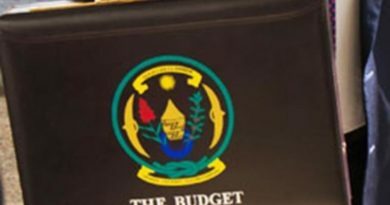 Among the 16 recommendations of NCPD to Government and Development partners, they mentioned that existing discriminatory provisions within Rwandan laws should be repealed, and need for awareness raising on ordinary laws to specific groups of PWDs (Visual, hearing, mental, deafblind, albinos, ….) through existing Televisions and Radio programs, trainings, wide dissemination programs and leaflets among others. Ndayisaba said that Persons with deaf-blind disability face hurdles in courts as they lack interpreters. 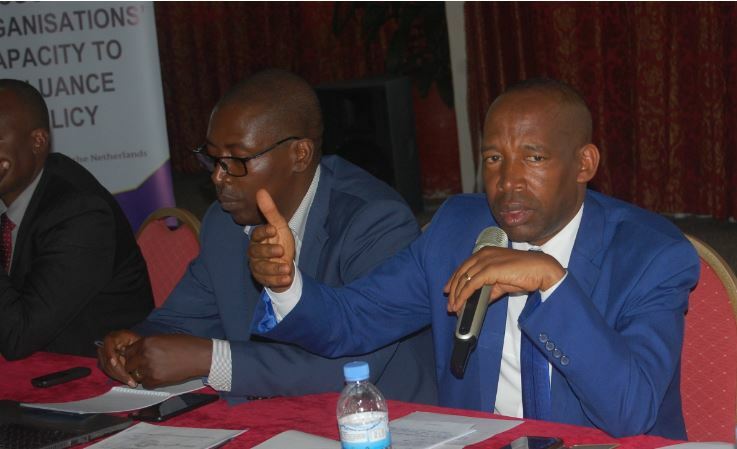 NCPD requests for support of justice sector to implement the recommendations by engaging the Ministry of Justice, civil society organizations, government bodies and development partners. 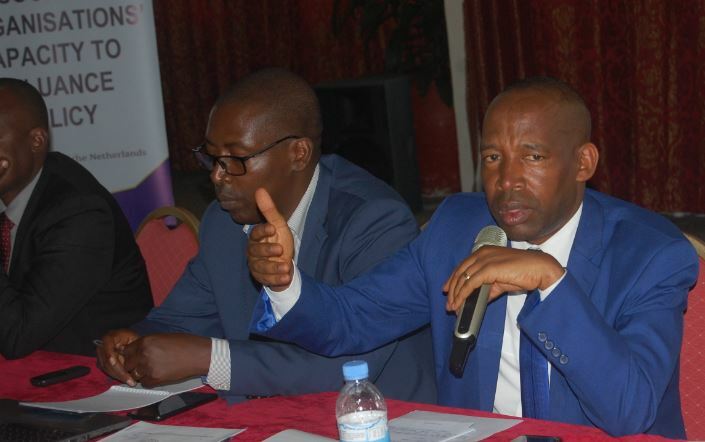 Anastase Nabahire, the coordinator of Justice, Reconciliation, Law and Order Sector Strategy (JRLOS) at MINIJUST said that following the journey of justice sector development in 25 years ago, some of resolutions will be made to help PWDs access to justice sector without incorporating special chamber for PWDs into intermediate courts. “Following the number of workers in justice sector that is still few, we have RIB, Police, Judges and prosecutors, bailiffs who have specific knowledge on different disciplines, we do not need to rush on establishing special chamber for Persons with disabilities but we will prepare these workers to help and prioritize these persons when they come to courts. 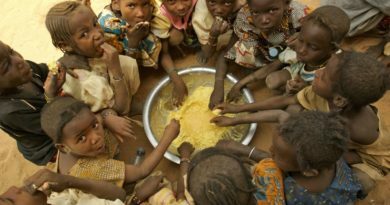 We will sit and discuss with Civil society organizations to find a clear solution for that,” Nabahire noted. 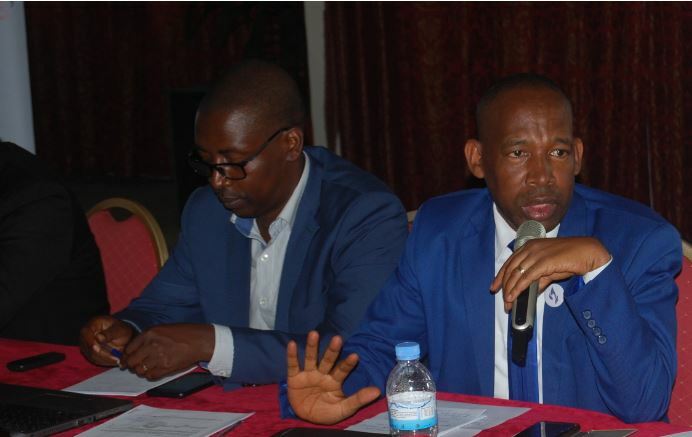 Anastase Nabahire (Left) Aimable Mwananawe, Chairperson of Ihorere Munyarwanda Organisation (IMRO) and Nooliet Kabanyana, E.S of RNGO Forum during the workshop. 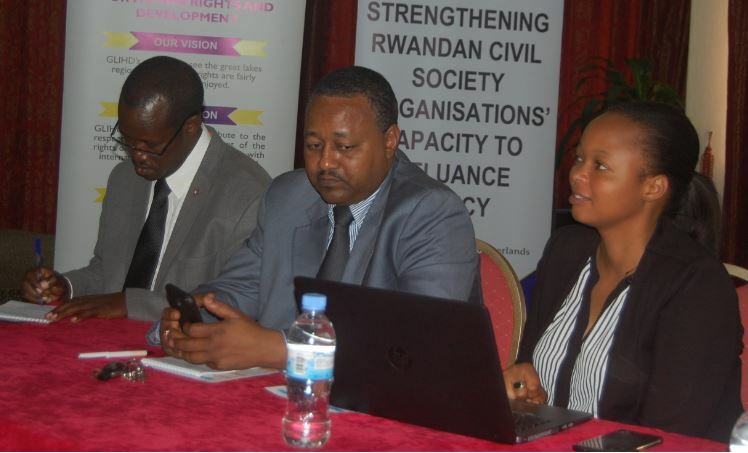 Dr. Betty Mukarwego, Chairperson of Rwanda Union of the Blinds (RUB) participated to the workshop. Various entities concerned with justice and human rights were represented. Participants to the workshop posing for a group photo.